This is no ordinary bath rug. Peacock Alley’s Tiffany bath rug is the ultimate in luxury bath rugs. 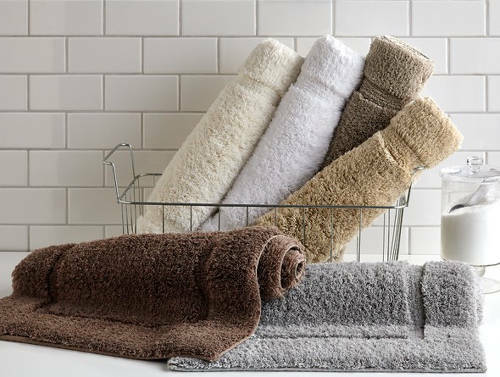 Sumptuous and ultra soft, these Turkish bath rugs will have you feeling like you’re stepping onto a cloud. It’ll spoil you for anything else. 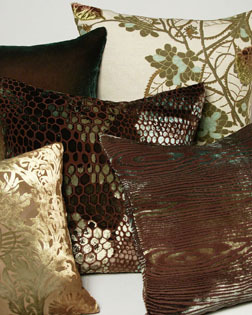 The variety of textures, colors, and patterns is what makes handcrafted Kevin O’Brien decorative pillows so enticing. You’ll fall in love with the rich velvets, colorful prints, nauticals, shibori, embellished linen, and mohair pillows. Most are available in a number of popular sizes, which means that you’re sure to find just the right accent for any room. Creating a coordinated look is easy because many of the same color families are found across collections, making mixing and matching effortless. New colors and patterns are introduced periodically to keep things fresh and stay on trend. Be inspired by the creativity of Kevin O’Brien pillows. Available at DefiningElegance.com. 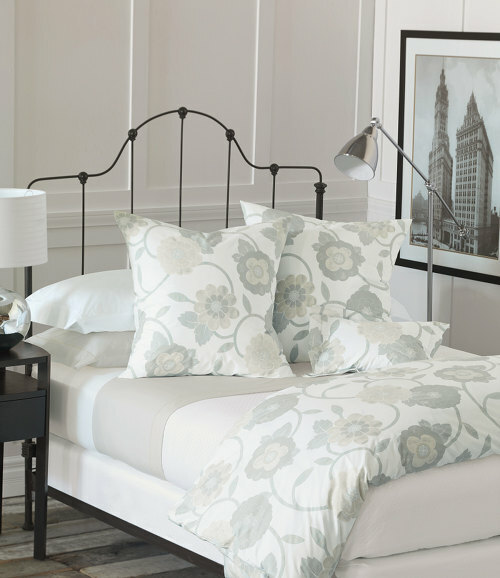 Create a romantic haven with the Resort bedding ensemble from Nancy Koltes Fine Italian Linens. This serene collection features a delicate jacquard in a lovely soothing lavender (Wisteria). The white top sheet has an applied ribbon in a dusty purple (Heather) and hemstitching detail. As with each bedding ensemble, the pieces are sold separately or can be customized to your specifications. Fabric woven in Italy. Available at DefiningElegance.com. Making the bed just got so much more enjoyable! This chic Soho bedding ensemble from Nancy Koltes features a playful over-sized print in subdued colors paired with crisp white sheets and matlasse coverlet. Nancy Koltes Fine Italian Linens is known for its classical colors and timeless designs.